This v 0.9 Digital Video Essentials UHD 4K release is aimed at content creators, software developers, hardware manufacturers, imaging professionals and reviewers in immediate need of UHD test materials. As a v 0.9 release, there will be updates and additions so please be sure to purchase with a valid email address so that you receive the automated supplemental emails. 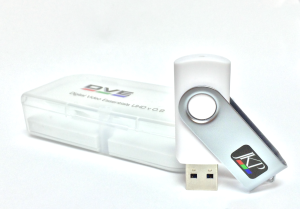 For a limited time, all purchases of DVE UHD v 0.9 on the USB 3.0 thumb drive include a free copy of HD Basics on Blu-ray (normally $39.95). Digital Video Essentials UHD V 0.9 is a joint production of Image Essence, LLC, Gary Demos, and JKP, Joe Kane. It marks JKP’s entry into the UHD domain with test and demonstration material in both 4096 by 2160 format, known as 4K in the program production world, and the 3840 by 2160 format, known as 2160p or UHD in the consumer world. The 2160p format is one of two pixel count arrays currently specified for UHD. We’ll eventually be addressing the other UHD format, 4320p, but not in this release of materials. The ITU and CEA initially called the consumer format UHD but we’ve since noticed the CEA has gone back to including 4K as part of the consumer name. The real 4K format has been a part of the program production world for some 20 plus years. The idea of a higher resolution format for consumers started out as 4096, using one of the vertical resolutions options in the 4K professional formats, 2160. It has a 1.89:1 aspect ratio. The 2160 version of 4K is found in Digital Cinema projectors. When consumer connectivity of the 4096 by 2160 pixel count became an issue it was dropped back to a slightly lower number, 3840 by 2160, as set out in the ITU-R BT.1769 document in 2008. The 3840 by 2160p format also offers fairly easy up conversion from 1080p so it might be considered a better fit for existing HD content. The materials on the USB stick are divided into two categories, test signals and still images. The images are there for test and demonstration purposes. There is a separate spreadsheet titled JKP-UHD Test Materials listing the contents and providing some additional details about each item. We’ll also be publishing .pdf documents with more detailed descriptions of the test patterns and images. These documents will be found on the http://www.videoessentials.com/ web site. A number of the test images will have the initials EBD for Extended Bit Depth. Up to this point in the consumer world of distributing video the bit depth has been 8 bits. – We are including a number of test signals at that bit depth. While a larger bit depth is required for extended or high dynamic range (EDR or HDR), these images have not been set up for any specific approach to presenting EDR or HDR. They can be processed for either EDR or HDR. We are calling some of the test patterns high dynamic range, HDR, and they are named and described accordingly. All of the materials presented are in the RGB domain. Most of the test patterns are not primary color dependent and should work in any color space, with possible exceptions of bit depth. The .tif and .dpx images have been color timed for ITU-R BT.709 color space and ITU-R BT.1886 gamma.